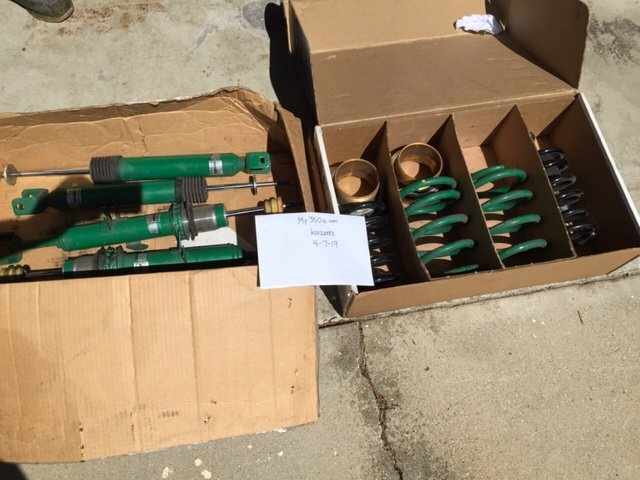 I'm selling a Tein coilover set. I believe they had about 30k miles on them before I removed them from a 350Z I had bought. I need to make room in the garage. Looking to get about $300, no shipping. Last edited by kaizenro; 04-10-2019 at 07:38 PM. Any chance in shipping them ? I'll do 290$ if you ship them ??? been looking for some of these and if you'll ship them i'll take them ! They’re gone. Can close the thread. Last edited by jhc; 04-19-2019 at 04:36 PM.